Art-lovers currently going to Rome may be somewhat disappointed! Why? 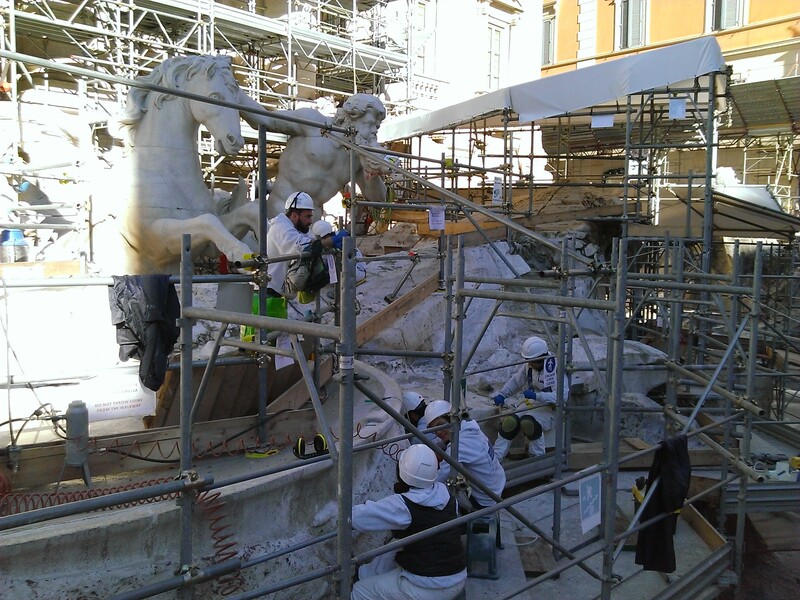 One of the world´s most magnificent fountain, masterpiece of Niccola Salvi and Gian Lorenzo Bernini, Fontana di Trevi, is due to the restoration fully covered by scaffolding and without water. The work will probably last until November 2015. 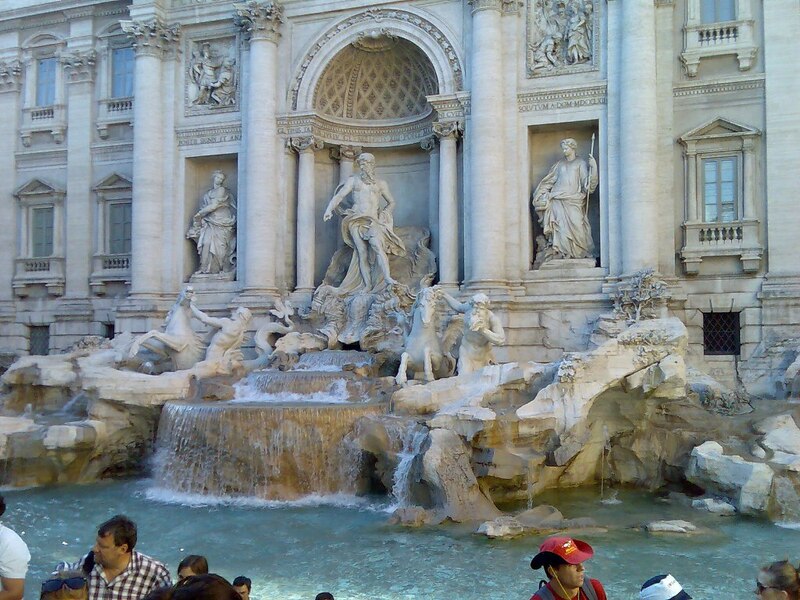 The fountain, which was commissioned by Pope Clement XII in 1732, was immortalised in Federico Fellini's 1960 classic film La Dolce Vita, in a scene in which a provocative Anita Ekberg waded into its waters in a black evening dress called out for Marcello Mastroianni: “Marcello, come here!” as she glided through the fountain’s sparkling water. 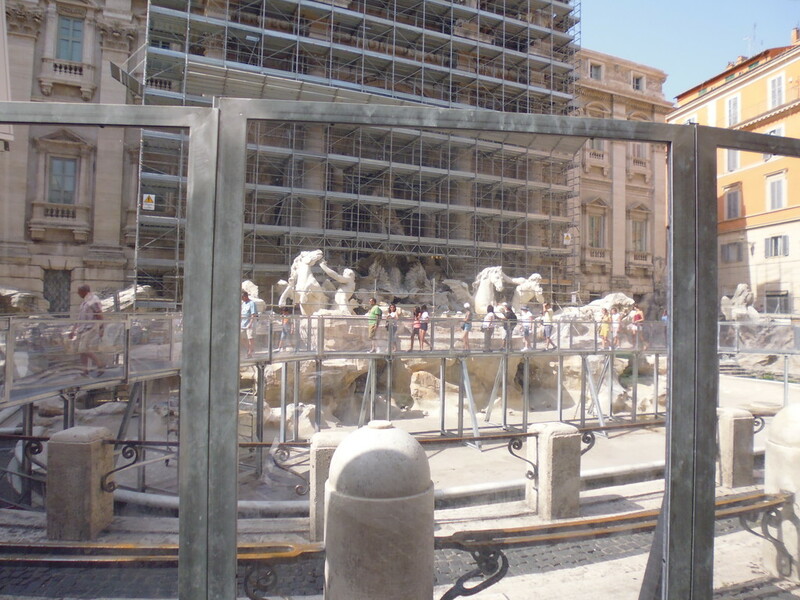 But anyway currently there is one special opportunity: tourists can walk along a specially built walkway in front of the fountain and watch the work of restorers from a very close distance. The work is sponsored by the Roman fashion brand Fendi (now owned by a French producer of luxury goods LVMH Moët Hennessy Louis Vuitton). The financing of sights restoration by freeholders is more and more common the last time in Italy. 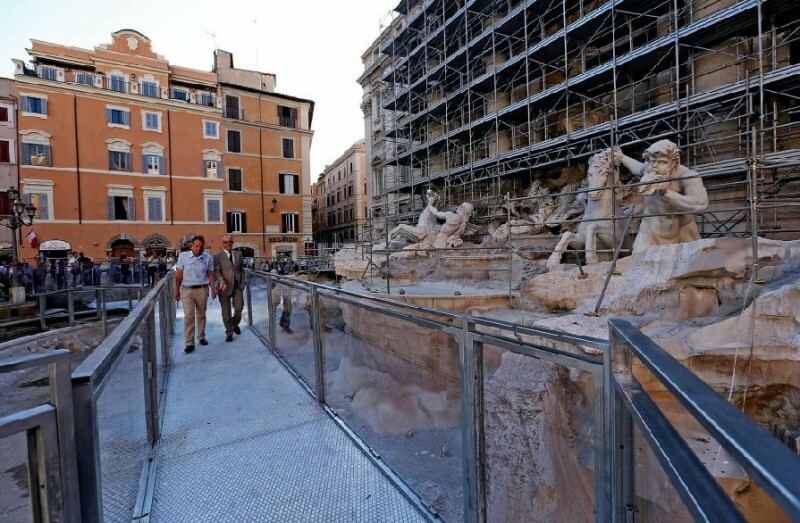 For example, the owner of the shoe company Tod's contributed 20 EUR the reconstruction of the Colosseum and the jewelry firm Bulgari significantly contributed the restoration of the Spanish steps.